I don't typically post here on weekends (I certainly do on my Instagram though) but it's Valentine's Day so I feel like I should! You may or may not know that I have been engaged for some time. It will be 4 years later this month! It's been so long that some people have even forgotten that I am engaged! Over the past few years... Chris finished grad school and got his PhD, we moved to a new city, he got a new job, I have gone through many different freelance jobs, I still can't decide on a venue, etc. Now that we are more settled, we are finally planning to end this very long engagement, hopefully next year! I am excited to start planning the big day and I am thrilled to partner up with BHLDN for my first bridal collaboration! 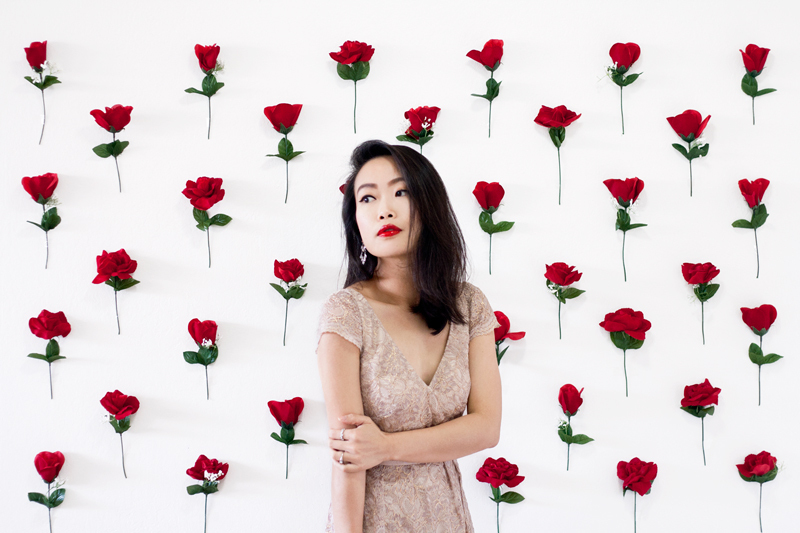 Since I don't have any events planned to wear this beautiful lace dress at the moment, I decided to shoot some self-portraits at home with a wall I DIYed with roses! Happy Valentine's Day!!! 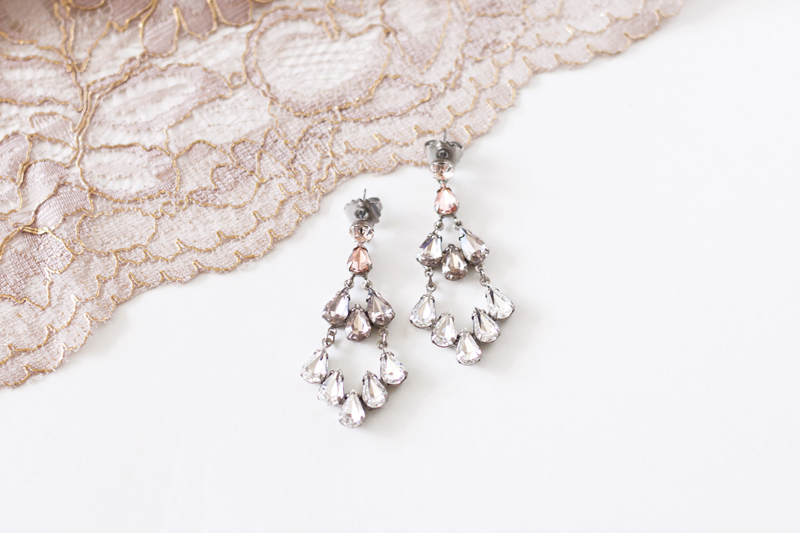 Ombre chandeliers earrings c/o BHLDN. This dress is beautiful! How did you do the wall? 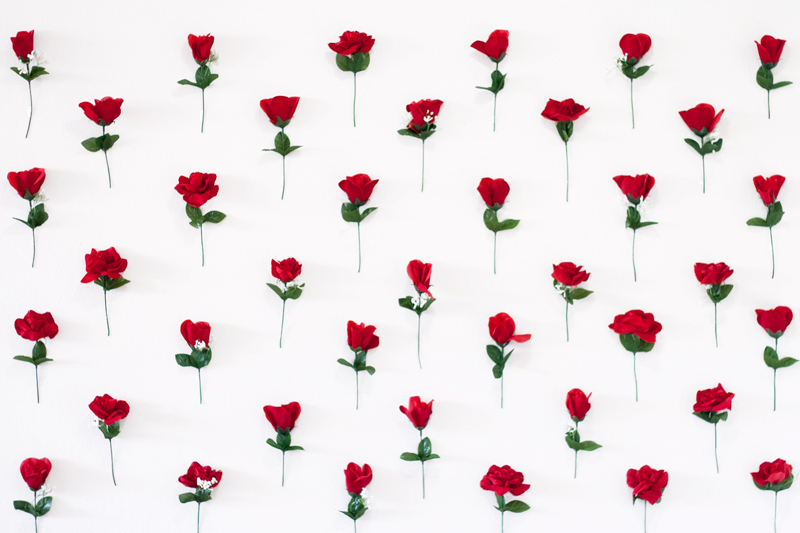 I just type each flowers up with clear tape, that's all! Easy, just take some time! 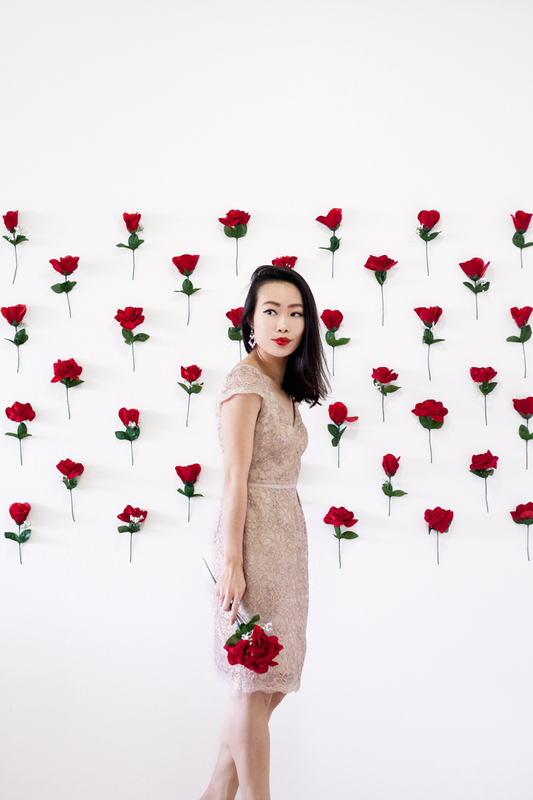 that's a beautiful dress, the wall is very cool too! 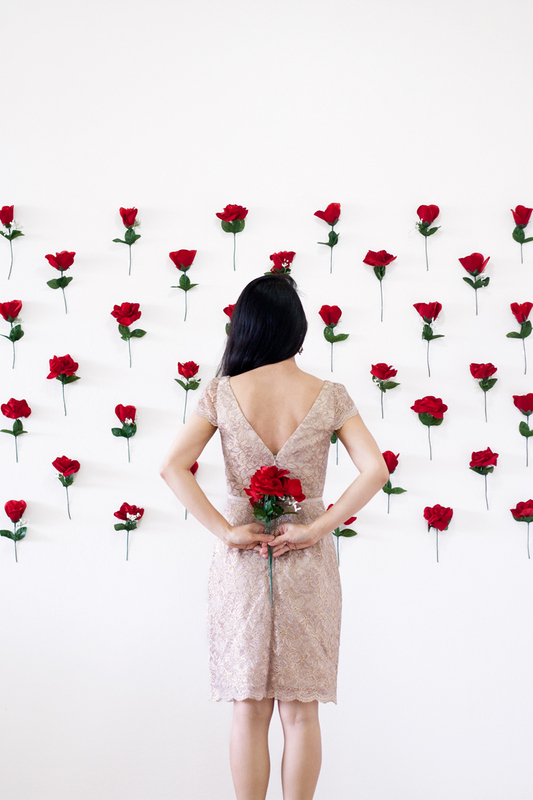 That wall of roses is simply beautiful! Definitely one of my favorite posts so far.